Home›Features›Nothin' But Trouble - The Forgotten, Underrated Sophomore Effort from John Sykes and Blue Murder! 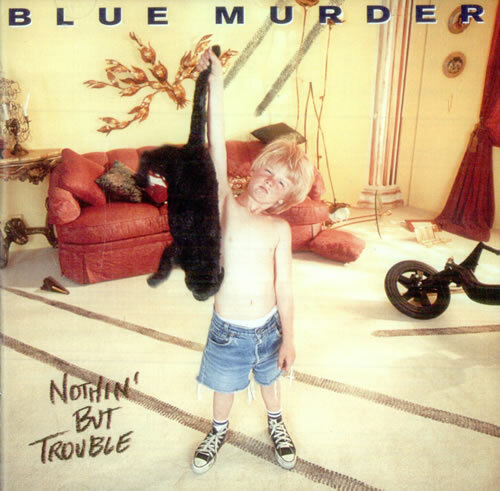 Nothin' But Trouble is the second and final studio album from Blue Murder, released in 1993. John Sykes was the only band member remaining from the band's legendary 1989 debut. Blue Murder was a supergroup that took the world by storm in 1989. Following his exile from Whitesnake, all eyes were on guitar virtuoso John Sykes, whose previous credits also included work with Thin Lizzy and the Tygers of Pan Tang. People were eager to hear what Sykes would end up doing next, and he proved it in a big way, uniting with bassist Tony Franklin (The Firm) and drummer Carmine Appice (Vanilla Fudge, King Kobra) to form the supergroup Blue Murder. Sykes handled vocal duties in the new group at the behest of music industry legend John Kalodner. 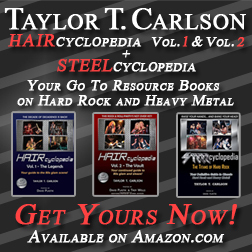 Their debut album was a phenomenal release featuring classic after classic; it was every bit as much the equal of anything any of these musicians recorded in their prior bands. Many have regarded Blue Murder as a one album wonder…. but they DID have a sophomore release that time forgot. Joining the band in the places of Franklin and Appice were bassist Marco Mendoza (later of Whitesnake and Lynch Mob) and drummer Tommy O’Steen, although Franklin and Appice still appear on the majority of the tracks on this second record. 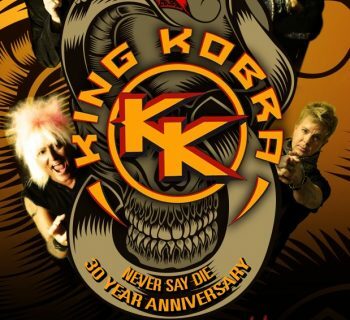 The group also hired a standalone vocalist/backing vocalist in the form of Baton Rouge singer Kelly Keeling, however John Sykes ended up overdubbing the majority of Keeling’s lead vocal work for the band’s sophomore album, Nothin’ But Trouble. Thus, on the final album, only one track has Keeling’s lead vocals, while the other tracks only feature his backing vocals. Nothin’ But Trouble would end up being Blue Murder’s second and final studio release; the only other release to have the Blue Murder name was a live album that was released in 1994, although O’Steen and Mendoza would play on Sykes’ follow-up solo record, Out of My Tree. The first album from Blue Murder easily ranks amongst my favorite of all time; the trio created a classic for the ages and then some. It was something totally unique, yet did not betray the sounds of the artists’ older bands either, making it something that was truly the best of both worlds. Four years later, it is not likely anyone knew that they would ever get another Blue Murder album after the changes in the music industry that brought about the outbreak of grunge and alternative rock. And yet, Blue Murder DID release a second album! It this another classic for the ages, or is it a lost relic that may as well have remained lost? All right, the bad news first; this release is not as good as the first Blue Murder album. Fortunately, that is about the only negative thing that I have to say about Nothin’ But Trouble. This is a very solid album in its own right, which goes to show why John Sykes (who continues taking on vocal duties here) remains one of the most criminally underrated rock and metal guitarists in the world. O’Steen and Mendoza do a solid job filling gaps in the band on the tracks that they play on, though as was previously mentioned, Appice and Franklin are still largely present on ones recorded earlier; this was likely due to the lengthy time in between releases. You still get a diverse album that has no shortage of highlights. Time forgot this album, but that does not mean you have to! So, what exactly does Blue Murder’s sophomore album have to offer in terms of content? Quite a lot, actually! Opening cut “We All Fall Down” is one of the fastest, heaviest, and hardest rocking of all Blue Murder songs, making it a choice way to kick off this release. Gears shift completely on the second track, which is a cover of the old Small Faces standard, “Itchycoo Park.” This is a cover song that stays fairly true to the original, but also throws in a few hard rock touches as well, keeping things unique and interesting. Tracks like “Runaway” demonstrate that the band can walk that fine line between ballad and rocker within the same song beautifully. “I’m On Fire” is the one track on which Kelly Keeling’s lead vocal track remains intact, and this is a great bluesy hard rocker that would not have been out of place on one of his Baton Rouge records. Over the course of this release, you get tracks that are musically diverse, yet work well together too. Some work better than others and are more uniquely Blue Murder songs, but there is not a single weak cut on the whole CD. Closer “She Knows” finishes off the album in fine form, as a soft, acoustic-driven number that does a marvelous job wrapping things up. Nothin’ But Trouble is an excellent release, even it does not quite hit the same heights of the iconic debut record from 1989. John Sykes and company serve up another batch of excellent songs, and you will soon see further evidence of how talented and underrated a musician he is by listening to everything here. If you do not have any Blue Murder , get the debut album first. But once you have that, you will not want to hesitate to add the underrated-as-hell follow up to your collection. A gem that does not deserve to be forgotten! 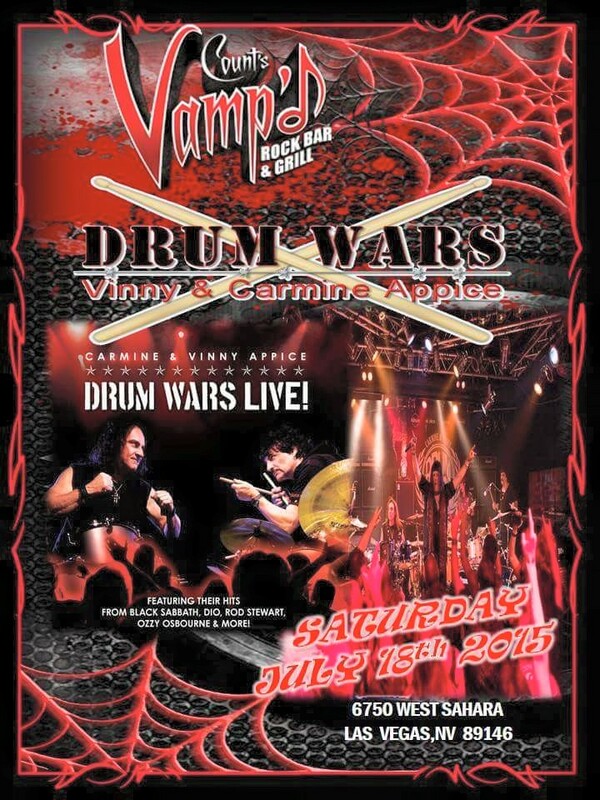 Appice Drum Wars - Vinny and Carmine Bring the Thunder to the City of Sin!